Ātmā the Self, the Absolute Reality. Atma is your highest Self. 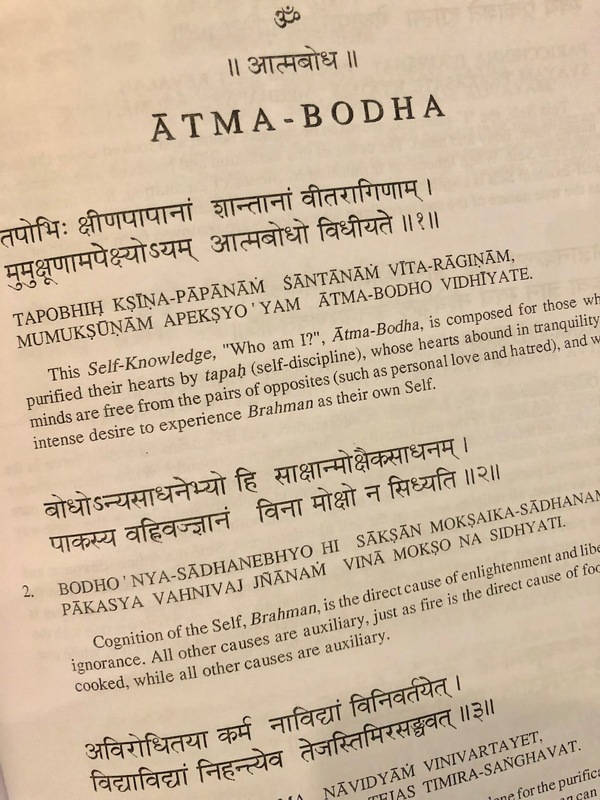 In the Atmabodha text, Shankaracharya lays out non-dualistic, Advaita Vedanta philosophy for coming into union with your highest Self or Atma. Sakshī means the witness, the observer, Eternal. In yogic dialog, the Sakshi is the Seer. The more we work with experiencing Sakshi within, the more we are practicing being with the seer within us. Abhimannin is the enjoyer, the active agent, the doer. The abhimannin is in operation when we identify with the body and mind. Vilakshanam means different or distinct from. You want to work in your yogic practice with with the concept of distinction rather than difference. Difference will trigger feelings of like and dislike. When you connect with the concept of distinction, you don’t move into like or dislike so quickly. This gives you the needed inner space to move into greater seeing. Illusion. That which is measurable. The eternal play of the universe. Compassion. Sympathy. Extraordinary power. Wisdom. Sometimes maya, illusion, will personify herself as Durga or another goddess. Sometimes the word maya will signify compassion or illusion. You will always have to look at the context to understand what way the word maya is being used. 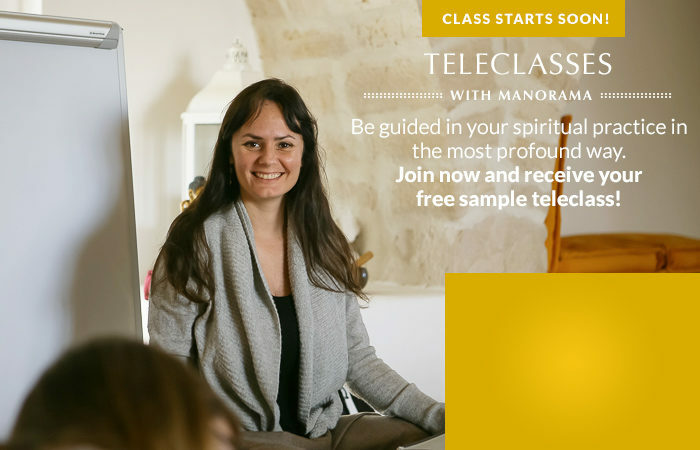 Be guided by Manorama, as you immerse in one of the most elegant and meaningful Sanskrit and Yogic texts, The Atmabodha, text on Self-Knowledge. Each week, Manorama will guide chanting of select Atmabodha verses. She will discuss the hidden meaning contained in the verses and will give you practical examples, along with Luminous Soul exercises to support this text becoming alive in your yogic practice and in your own life. Join Manorama & friends from around the world!